The sad thing is that, over the years, security has become more about recurring monthly revenue for companies and less about protection and peace of mind. If you are looking for that company that will install your system for free (but stick you with a five year contract at over $50 / month – ouch), we are not for you. We feel our family’s are worth more than that, which is why we created Mad Dog Security, LLC. 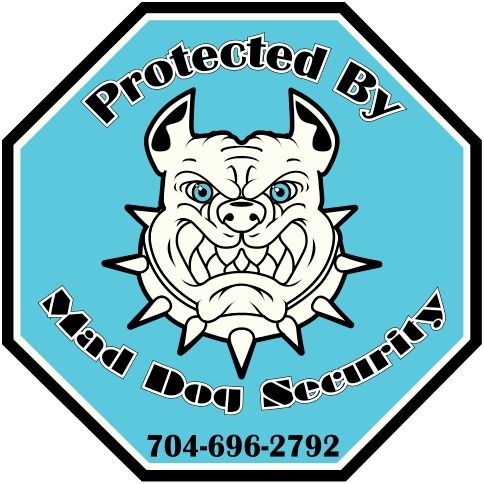 A subsidiary of SoundVision, LLC, Mad Dog Security, LLC is designed to provide affordable, yet complete coverage for people who care about their families and their belongings. We go the extra mile to show you ideas and ways to make your home safer and look more livable than the one next door, making you less of a target. And, if you have special needs, we think “outside the box” to provide solutions that will provide you the peace of mind you deserve in your home. You see, we not only do security; but, we provide a peace of mind solution that can integrate and incorporate security as a part of an overall package. We can integrate lighting into the system, providing the look and feel that you are at home, even if you are thousands of miles away. Our families LOVE the automated door locks that allow you access if you forget your key, can lock themselves if you forget, AND can even be controlled from an app that is available for any smart device out there. We know the statistics and they are staggering! Every 15 seconds, a burglar breaks into a home in the United States, steals an average $1,725 worth of property and robs the people who live there of peace of mind for years [sources: McGoey, FBI). The fact is, it’s actually not that hard to get into most homes. The risk of being seen breaking in is more of a deterrent than a subpar lock, and since most residential robberies happen in broad daylight, that risk is apparently not an overwhelming one. The problem is that most homes have weak points, and seasoned thieves are pretty good at finding them. If you have a question or security concern, we have probably dealt with it already. We would love to talk to you and show you how to include a security system as part of an overall package that can provide peace of mind for your family! Our goal is to Simply Life Through Technology! Don’t forget, alarm systems need to be registered in certain counties or the authorities will NOT respond to a call from the central station. If you live in the city of Davidson or the county of Mecklenburg, make sure you are registered or protected. If you need a permit, or need to check to make sure you have one, click one of the links above. If you need help, give us a call. We are more than happy to guide you through the process.